When you need a way to move heavy, bulky items up and down stairs without the hassle, turn to this stair-climbing trolley from Randy & Travis Machinery. 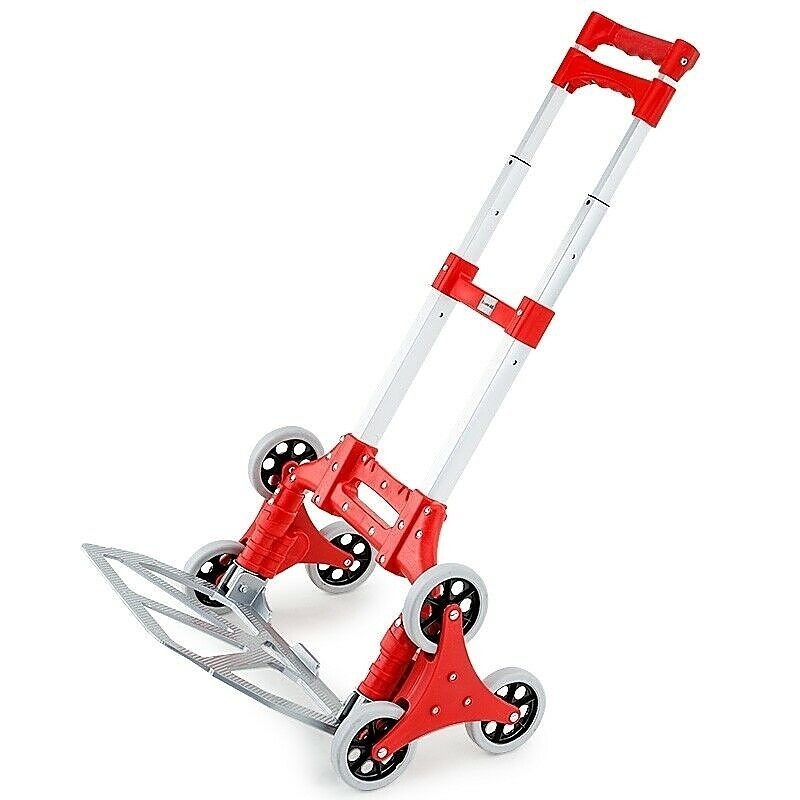 With six sturdy wheels, this light, yet sturdy hand cart can help you climb even the steepest steps with a heavy load. As versatile as it is convenient, our hand trolley is perfect for tradespeople, removalists, or DIYers who need to move equipment and supplies between levels. Compact and portable, this stair-climbing trolley features a telescoping automatic handle-release locking system, so you can operate it with one hand if needed. 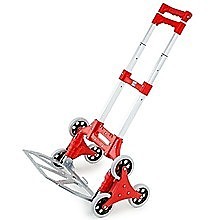 Capable of navigating curbs, uneven terrain, and even steep stairs, this handy tool allows you to move more loads with less effort, resulting in fewer overuse injuries or other dangers. A maximum load capacity of 60kg allows you to move even heavy equipment and tools from your truck to your project site and back again. Crafted from only the highest-grade aluminium alloy, this trolley resists corrosion, making it perfect for use even under inclement weather conditions. Take a load off your shoulders and back. Purchase your heavy-duty stair-climbing trolley today. When you have furniture that’s near-impossible to move without throwing out your back, try these heavy-duty swivel trolley furniture castors with 800-kg loading capacity from Randy & Travis Machinery. With their extra-large size (4 inches x 5 inches), these swivel castors can handle even your larges..